SPRINGFIELD — Lawmakers on Tuesday successfully passed a bill through the House raising the age to purchase tobacco products to 21. The legislation moves to the Senate for a vote expected next week. There it will likely receive enough support to land on Gov. J.B. Pritzker’s desk. And Senate President John Cullerton, a Democrat from Chicago, indicated at a press event in early February that Pritzker would sign the “Tobacco 21” legislation if both chambers approved it first. 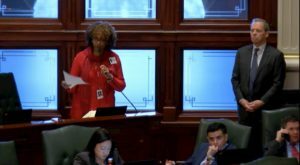 The bill’s passage comes as a victory for sponsor Camille Lilly, a Democratic representative from Chicago. This is the fourth time in as many years a version of this measure was introduced in the General Assembly, where historically it would succeed in the Senate only to fail in the House. During the previous legislative session, both chambers approved “Tobacco 21.” When former Gov. Bruce Rauner did not sign it, only the Senate was able to override his veto. This year, Lilly said her colleagues and advocates wanted to try a new approach. By running the measure through her chamber first, where she has “more people to deal with,” they hoped to secure a favorable outcome. The measure passed by a vote of 82 to 31, securing the support of several Republicans, including Minority Leader Jim Durkin from Western Springs. During debate Tuesday, Durkin said that while he has “been fighting it for most of [his] career,” he was changing his stance on raising the legal age to purchase tobacco products in part because of research into the “epidemic” of smoking. “I am here to say that I am no longer fighting it, but I am supporting Tobacco 21 for the State of Illinois,” Durkin said. Opponents had two main arguments — ones that have been made in previous sessions and in committee hearings this session. The first is that if 18 is old enough to serve on a jury, enlist in the military or get married, it should be old enough to buy a cigarette. Rep. C.D. Davidsmeyer, a Republican from Jacksonville, made this point. “I believe that if a person is old enough to decide who the most powerful person on the planet, the president of the United States, is, I think they’re responsible enough to look at the package of cigarettes, look at a can of chewing tobacco, and see that it says ‘this can kill you,’” he said. The second finds fault with the removal of penalties in current law for minors caught with tobacco products. Presently, minors found with a product containing nicotine might have to take a “smoker’s education or youth diversion program” with their parents. Each additional violation brings increased fees and hours of community service. The bill leaves in penalties for merchants who sell to minors. Bill Fleischli, executive vice president of the Illinois Petroleum Marketers Association and the state’s Association of Convenience Stores, finds fault with this logic. Fleischli said merchants then become the policers, because law enforcement would be unable to do anything if an officer saw a minor with a cigarette, for example. 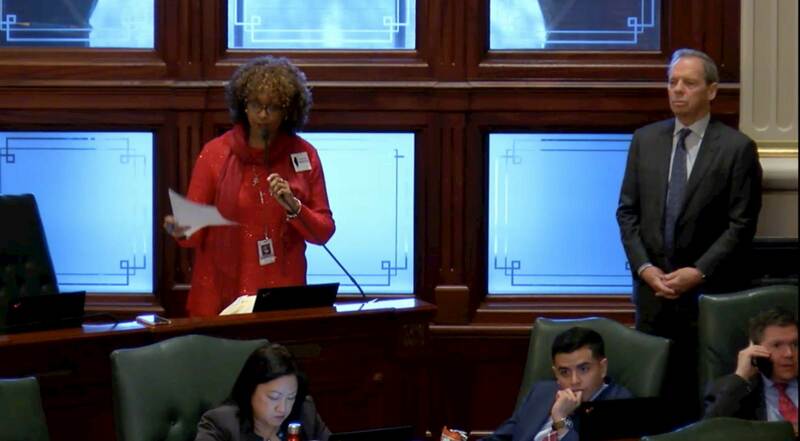 Rep. Tony McCombie, a Republican from Savanna, said another pressing issue for her was how Illinois was going to make up for the lack of tax revenue lost from selling tobacco products to 18-, 19- and 20-year-olds. “It’s important that we stay focused and make sure the lives of our young people are healthy,” Lilly said during debate, although she did not return requests for comment after the vote. The soonest the Senate could vote on this legislation, House Bill 345, is Tuesday, March 19. Cullerton is a longtime supporter of “Tobacco 21,” joking at a news event in early February that he was tempted to take sponsorship of the measure from longtime issue leader Sen. Julie Morrison, a Democrat from Deerfield. Kathy Drea, the American Lung Association’s senior director for advocacy, said she is looking forward to the vote in the Senate. She and her colleagues have a meeting Wednesday with Pritzker. Supporters of the legislation include the American Heart Association and American Cancer Society, as well as JUUL Labs, the makers of popular vaping devices.